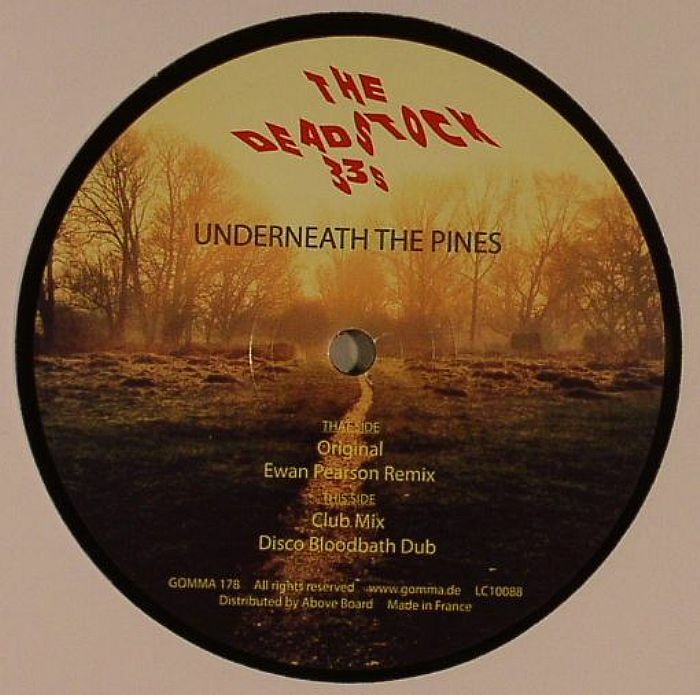 The DEADSTOCK 33s Underneath The Pines vinyl at Juno Records. Ever a reliable outlet for the newest of nu-disco, Gomma once again come up trumps with this record from Justin Robertson's more synth-wave influenced project. The original is a dynamic and immaculately realised pop jaunt fit for early Depeche Mode, not least in the stoutly English vocals. Ewan Pearson gets a snappy house framework around the key elements of the track, never so in his element as reworking a bombastic vocal tune. 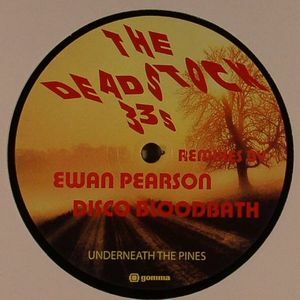 The "Club" mix focuses on a serious dose of acid intent with a hint of electro house a la Tiefschwarz, and Disco Bloodbath turn out an unbeatable slice of Chicago precision.